Archaeologically accurate application makes Jerusalem as it existed 2,000 years ago come alive for viewers. Among the most iconic sites of Jerusalem is the Western Wall, a sacred and holy place of prayer and meditation for thousands of Jewish visitors, many of whom come to its location from thousands of miles away. Today it is only a vestige of its former state — an ancient visible reminder of the great Jewish Second Temple and its precinct constructed by King Herod more than 2,000 year ago. Standing beside it, one can peer up at a towering monument of massive limestone blocks, the lower Herodian courses of which bear the unmistakable weathering of two millennia. In their mind’s eye, many of its visitors imagine it as it was in its heyday, before the great Roman destruction of 70 A.D. saw the Temple and its auxiliary buildings and great platform retaining wall violently dismantled and cast down into the surrounding depths below its platform. But imagination may no longer be necessary, if technology has its way. 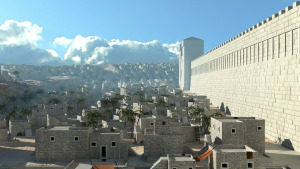 Now, a virtual reality company has produced a visual app that is touted to present an archaeologically accurate 3D reconstruction of ancient Jerusalem as it appeared during the time of King Herod, around the time of Jesus of the Christian New Testament accounts. 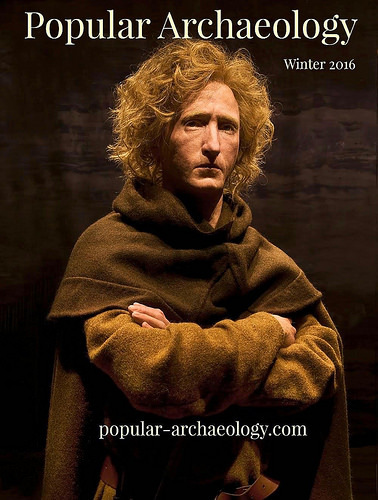 The company, known as Lithodomos VR, was founded in Melbourne, Australia in 2016 and is purposed to produce meticulously researched, accurate reconstructions of various locations and subjects of the ancient world. It has just unveiled its first app, Ancient Jerusalem in VR, and the founder, Simon Young, believes it will serve not only as an entertainment product but as an educational tool, as well. “Lithodomos VR was inspired by a burning desire to travel back in time and see the ancient world first hand. VR gave me the tools to do it,” said Young. Most important, “what differentiates Lithodomos VR from the rest is our commitment to archaeological accuracy,” adds Young. The Jerusalem app is designed to be the company’s first test case of the product line, but Young believes many more apps will follow, providing a resource for both recreational and educational/research use across the world. For many, Young believes it could be the next best thing to actually being on location, especially for those who want to visualize how today’s ancient remains fit into the picture of how the city appeared during the tumultuous and eventful period of 1st century Roman occupied Jerusalem. Interested readers may acquire the app (available on Google Play for $1.99) by going to this website.